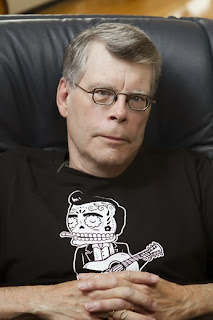 Critics and fans have been lauding Stephen King’s recently released follow-up to "The Shining", “Doctor Sleep,” so the news that his next novel, “Mr. Mercedes,” will be available June 3, is pretty exciting. To be released in June 2014, Mr. Mercedes is Stephen's next major publication from Scribner. "Mr. Mercedes" is a war between good and evil, from the master of suspense whose insight into the mind of this obsessed, insane killer is chilling and unforgettable. In other King news, he’s finally made his way to Twitter. The writer joined the fun on Friday, December 6, and has already accumulated almost 200k followers. His first tweet was , “My first tweet. No longer a virgin. Be gentle!" His second tweet was just as amusing, "On Twitter at last, and can't think of a thing to say. Some writer I turned out to be."